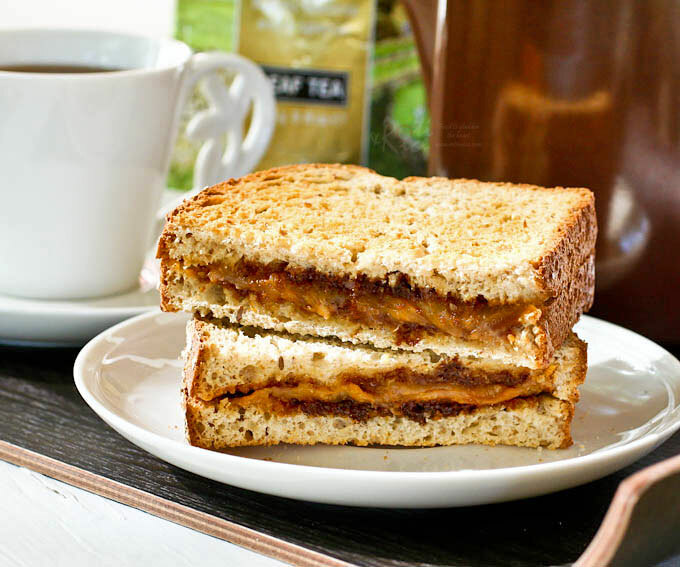 Rich savory Grilled Marmite Cheese Sandwich with lots of umami flavor. 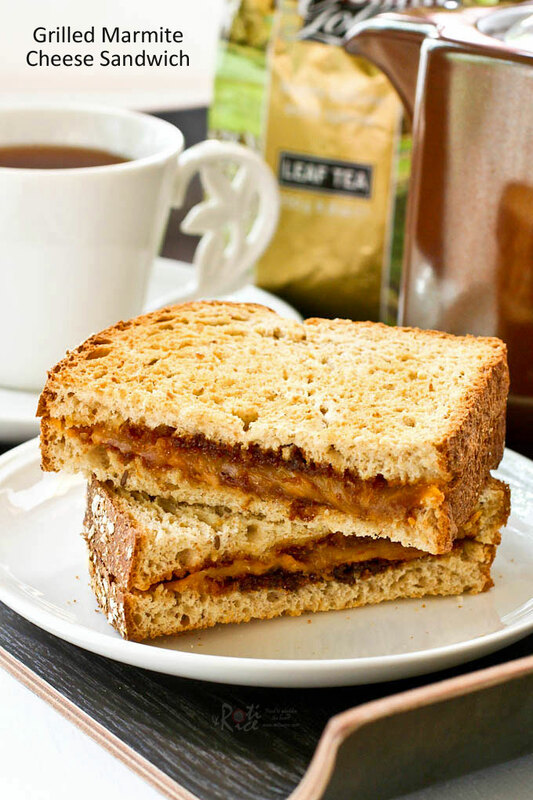 Makes a quick and satisfying breakfast or snack served with your favorite cup of tea. Yippee! A care package arrived for me this week from my dear, dear friend in Merry Ole England. She sends me goodies several times a year and I wait with great anticipation each time for it to arrive. Some of the goodies in this package were thick cut marmalade (my favorite), Yorkshire Gold tea, and Marmite. This friend really knows what I like. She’s a gem! 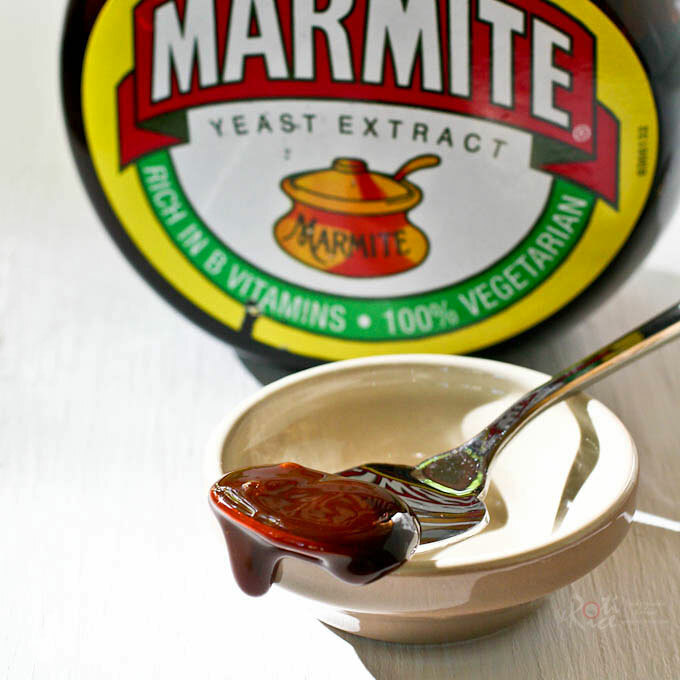 Marmite is a sticky, dark brown paste with a distinctive flavor made from yeast extract. As a child, I used to spread butter followed by a thin layer of Marmite on bread. It is really tasty. It can also be made into a drink by diluting with hot water or as a flavoring in cooked food. My friend’s daughter loves her sandwiches spread with Marmite, topped with grated cheddar and thinly sliced cucumber. That sounds delicious! I needed something warm this morning. I used two slices of home-made potato bread, spread butter on it, followed by Marmite topped with grated sharp cheddar. I omitted the cucumber but grilled the sandwich instead. This Grilled Marmite Cheese Sandwich was very tasty! It went really well with my cup of tea. Spread butter on both slices of bread followed by Marmite. Sprinkle shredded cheese on the top. Toast in a toaster oven. Remove and serve open faced or sandwiched together. NOTE: This post was updated on September 13th, 2012 with new pictures. No changes were made to the recipe or write-up. So simple and looks so tasty :-). I need to look this Marmite up. Thanks for the recipe! Simply delicious! That would make it a perfect weekend breakfast. Cooking Rookie – Yes, do look it up. It is an acquired taste but you may really like it as it is quite tasty. I haven't tried that. Sounds brilliant. Have to try that. Cheese and Marmite sandwiches are my FAVORITE! They say you either love or hate Marmite. It's an acquired taste. My American husband didn't like it at first, but now he loves it too. Jennie – It's delicious, isn't it? I do agree it is an acquired taste. Devi Meyyappan – Thanks! Marmite has a slightly salty flavor and is good in savory sandwiches. 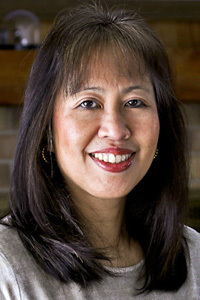 MaryMoh – Yes, do try it. It's also good in rice porridge, like a soy sauce substitute. I spotted this as a related post, I love Marmite and have a jar at home. I am going to try this. I like with cheese and crackers. All the best with your South Beach diet, Ruby. I am not familiar with the diet but surely you can have the occasional grilled cheese sandwich, no? Hi, your sandwich looks so yummy. I am eating a grilled cheese and Marmite sandwich right now. Except all I had on hand was Kraft Singles. I thought I would look for other Marmite lovers since my Marmite addiction is in it’s first stage, lol. New to it, one jar new but love the taste. Can you tell me if I am supposed to refrigerate it(the jar of Marmite) once opened? Our house is always 72 degrees Fahrenheit, if that helps. I am glad to hear that you enjoy marmite. It is definitely an acquired taste. If you are into baking, do check out this Marmite Boule https://www.rotinrice.com/2011/02/bread-expectations-black-pepper-and-marmite-boule/. Hopefully I will be posting more recipes using marmite in the future. No, you do not have to refrigerate marmite. I keep mine at room temperature. I *love* marmite on toast, especially with cheese melted on top. For some reason it’s never occurred to me to use it in a grilled cheese sandwich. I must confess I’m partial to marmite from New Zealand. It has a slightly different taste than the British stuff (we had a blind taste test and I could pick it out!). Thanks for the recipe, I’ll definitely be trying this one out. Betcha it’s all made in UK!! My little girl Loves marmite! Breakfast every day is a marmite sandwich, with a crazy amount of marmite! She also loves slices of bell pepper and carrot sticks, with a little bowl of marmite to dip them in! And you can’t beat a good spoonful of marmite in gravy and pies! I rather like toast, avacado, and marmite. It’s a great combination! I am from Singapore and I love Marmite! I am gonna try this recipe at home soon. Reminds me of a marmite & cheese toast I had once. Yum. Thanks!